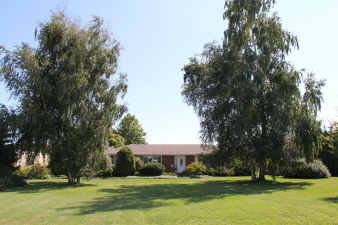 Lakeview, just east of Port Stanley, south of Sparta, minutes to St. Thomas and London. Well maintained, 40 year old 3+1 bedroom ranch home on nicely landscaped half acre lot. Kitchen renovated 7 years ago. Wide plank pine floors. Lower level finished with large family room and 4th bedroom. Municipal water and natural gas. 40,000 sq ft greenhouse adjoining property available to rent. Offers many possibilities.